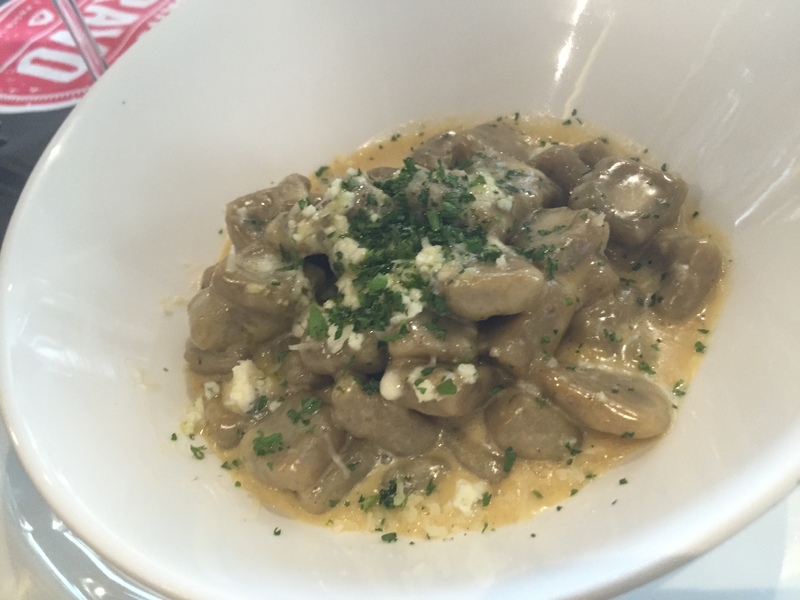 My first visit wasn’t very pleasant; I had visited their new spot at Plaza Mezzaluna. At that time they had just opened and I guess the staff wasn’t ready or maybe just tired since it was packed, but this is where I experienced the crappiest most unprofessional service in a long time. 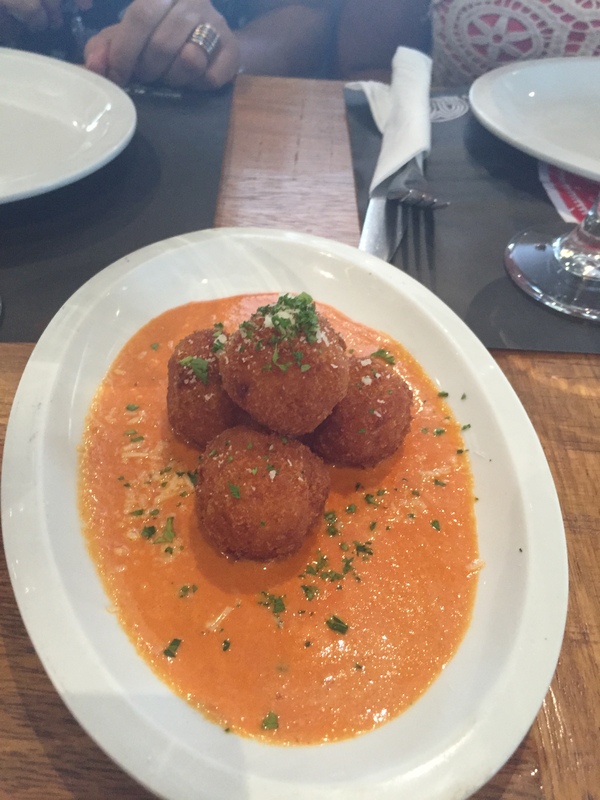 Aranci Funghi e Mozzarella: these delicious risotto balls filled with pepperoni, mozzarella and Aurora Sauce are awesome! I just wish they would bring more, not enough to share. 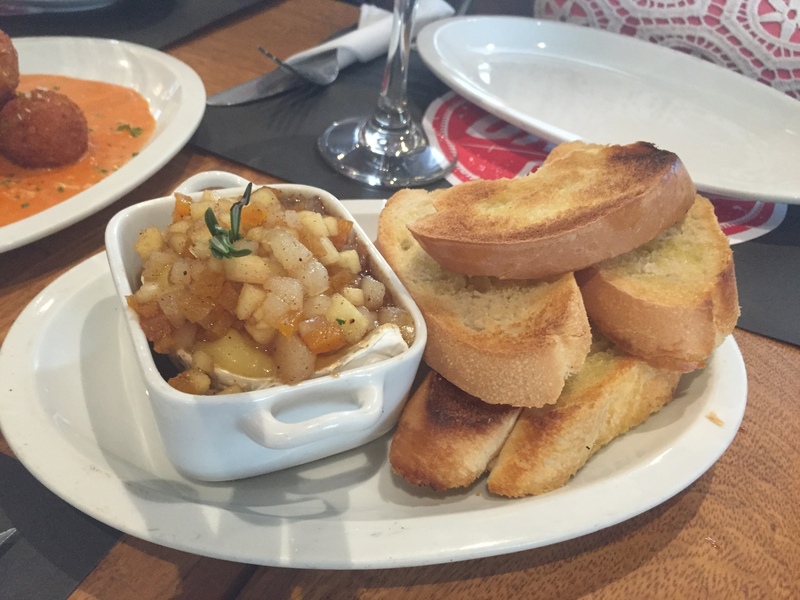 Camembert Dip: For all you cheese lover this will hit the spot. Camembert cheese with pear, apple and dry apricot chutney with saffron and rosemary accompanied with toast. Very light and delicious, definitely recommend it. 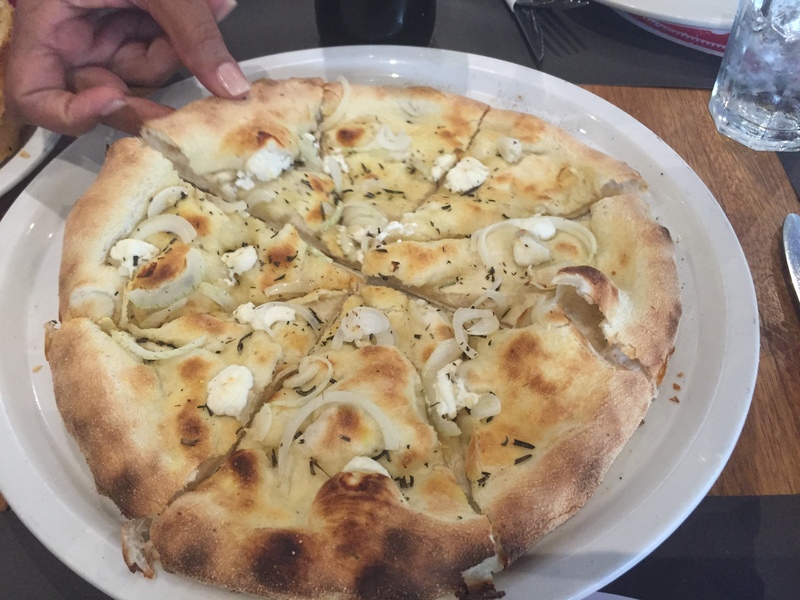 Focaccia Cipola: This was not my favorite, I’m not the biggest focaccia fan but it was alright. They had me at goat cheese with truffle oil, it had onion as well but it didn’t really add any extra flavor. Now, I did not eat this by myself but I did try all of them. This should give you a good idea of what to expect when coming no matter what you order .Enjoy ! Ravioli Funghi simply delicious, just the right size serving. Excellent balance with all the ingredients. 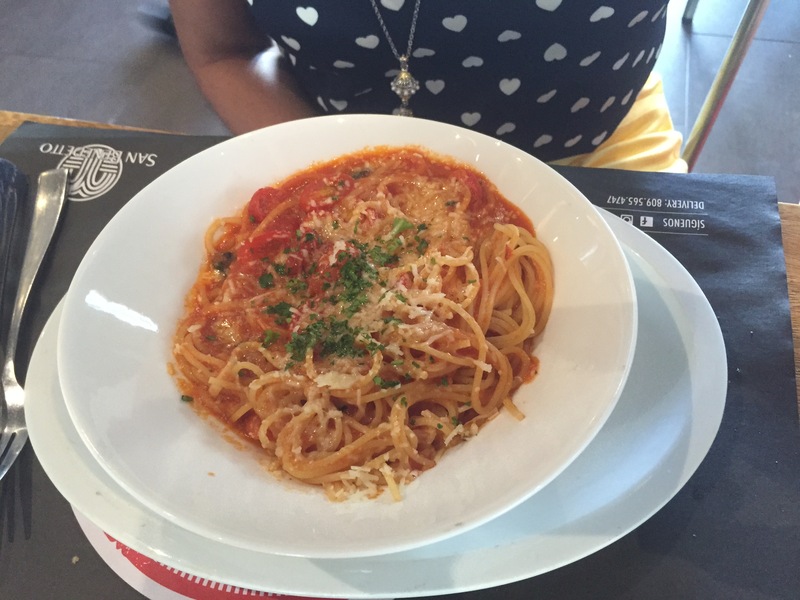 Spaghetti al Pomodoro e Basilico: So traditional you cannot hate this. 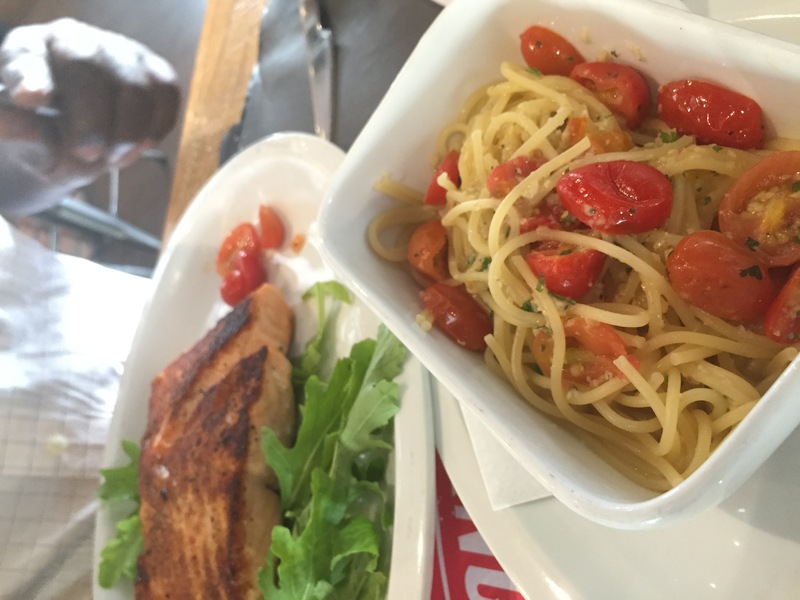 Fresh and pasta perfectly cooked. Spaghetti Carbonara. 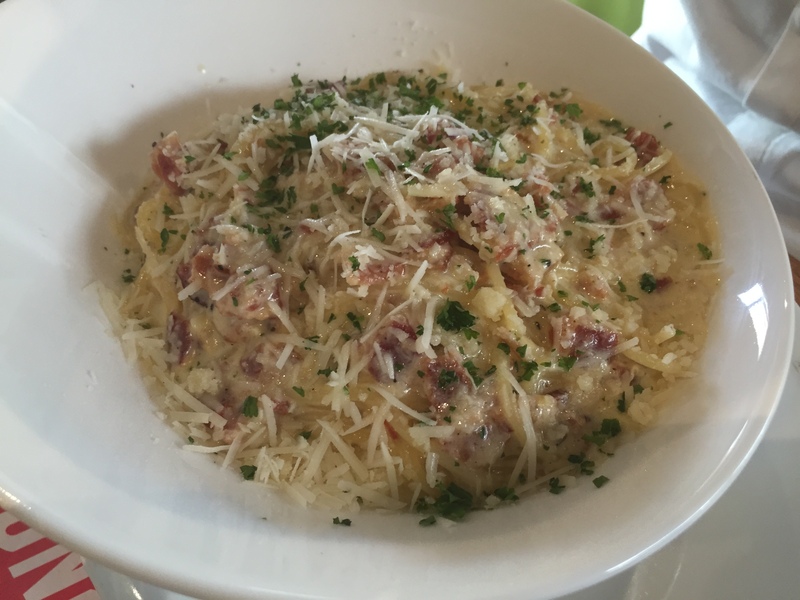 This is the real carbonara, made with eggs and not cream as most do these days. If appreciate a well-made Carbonara, I suggest you get this. 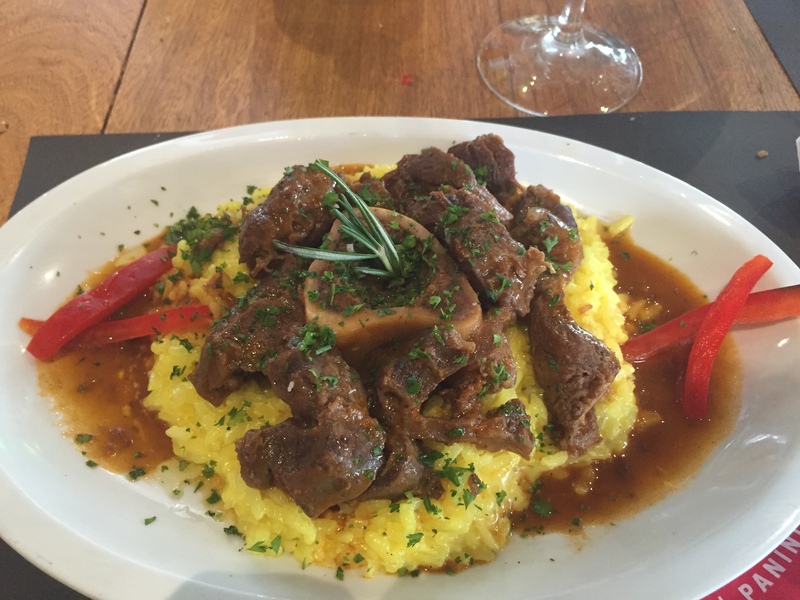 Ossobuco and Risotto with saffron and parmesan: This was my dish and I was more than satisfied, everyone who tasted it was jealous afterwards. So fulfilling, the ossobucco was tender and full of flavor as was the risotto. 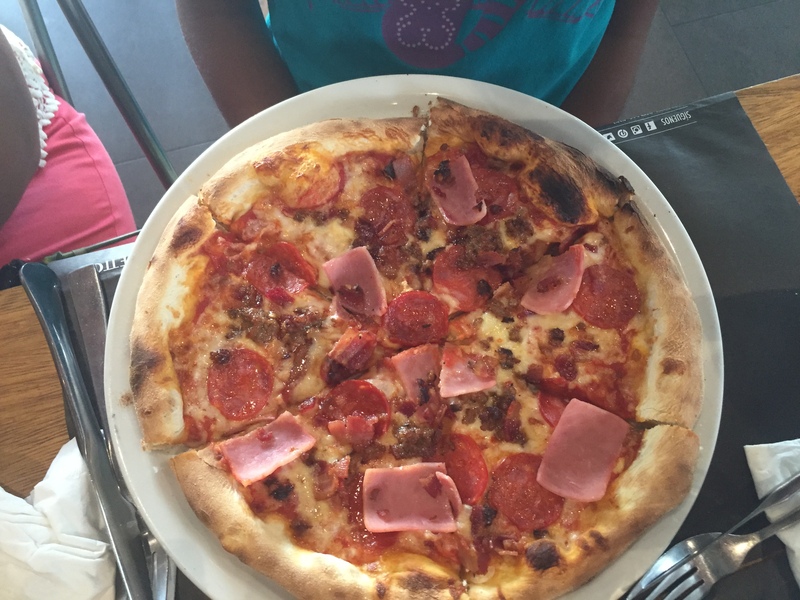 Peperoni and ham Pizza: For those who come for the brick oven baked pizza and like the traditional, these good but i was not blown away. 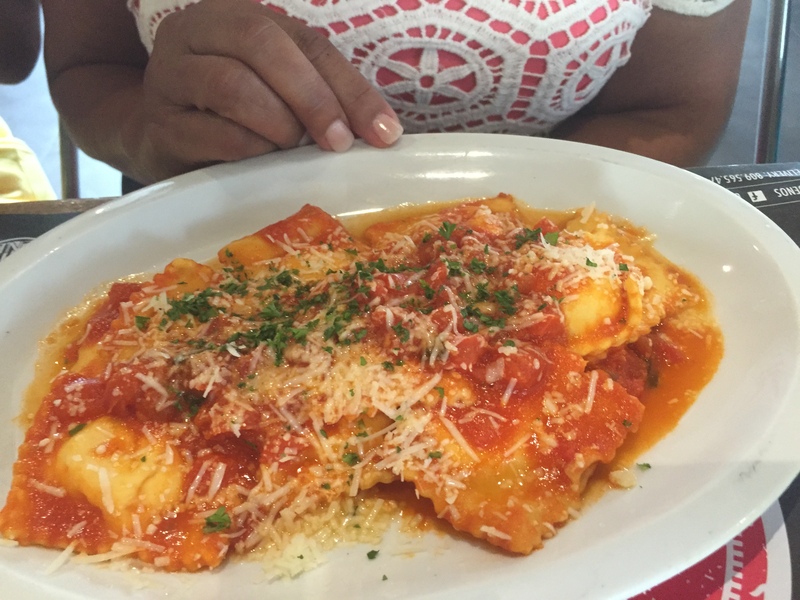 Ripe plantain Gnocchi with 4 cheeses: This was my least favorite just because the plantain had such a strong sweet flavor and that’s all I tasted, it’s like I was eating ripe plantain mangu. Grilled salmon with honey, miso and Dijon sauce. 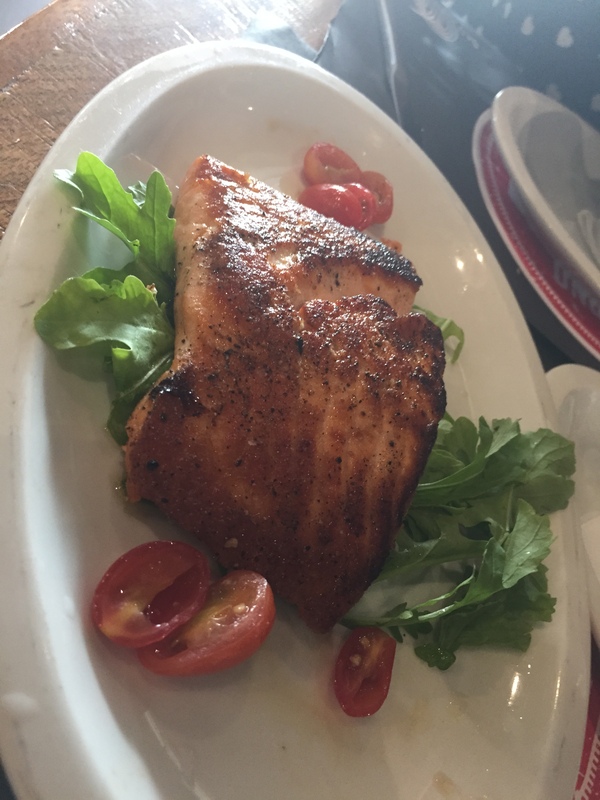 The salmon is fresh and perfectly cooked. It’s a great option for those who don’t want to feel guilty by the end of the meal. 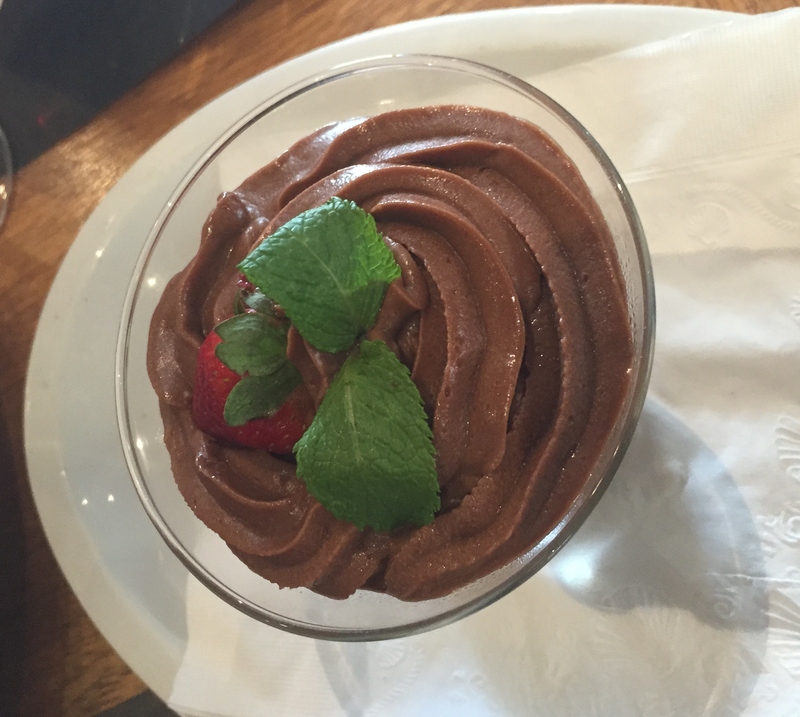 Chocolate Toblerone Mousse, I’m a chocolate lover so have no complaints about this. Come on Toblerone… can’t go wrong here. 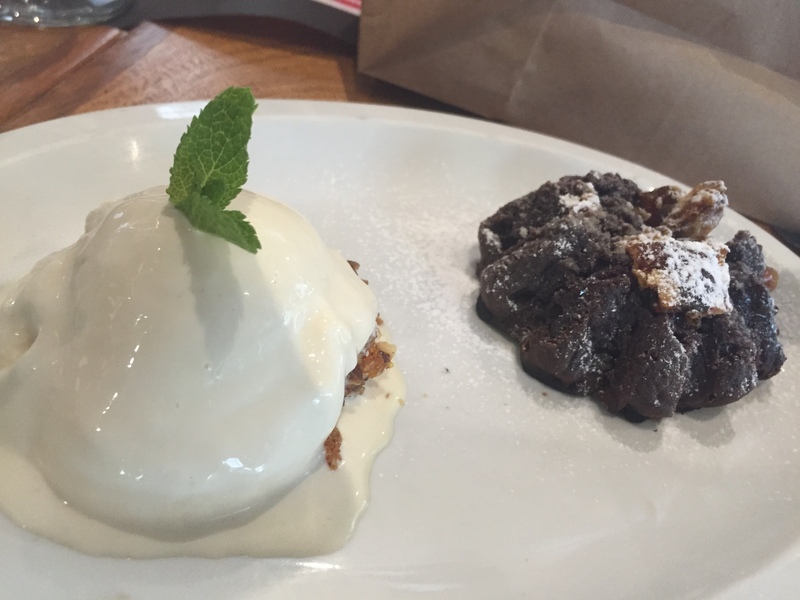 Chocolate Soufflé with Vanilla Ice Cream: This was delicious, but I have to say the soufflé could have been better, just didn’t seem like it was right out of the oven. Mini Nutella Calzone: this was alright, but the dough was a little chewy, maybe a little bit more Nutella would’ve made it better. 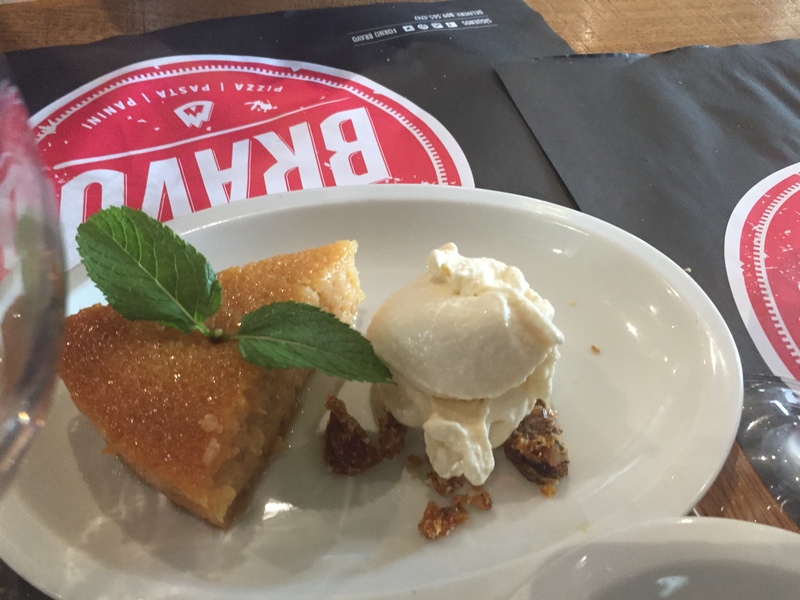 Baked Coconut: this was definitely the best by far, I’m not a fan of everything with coconut but what i liked the most is the fact that is was not extra sweet. 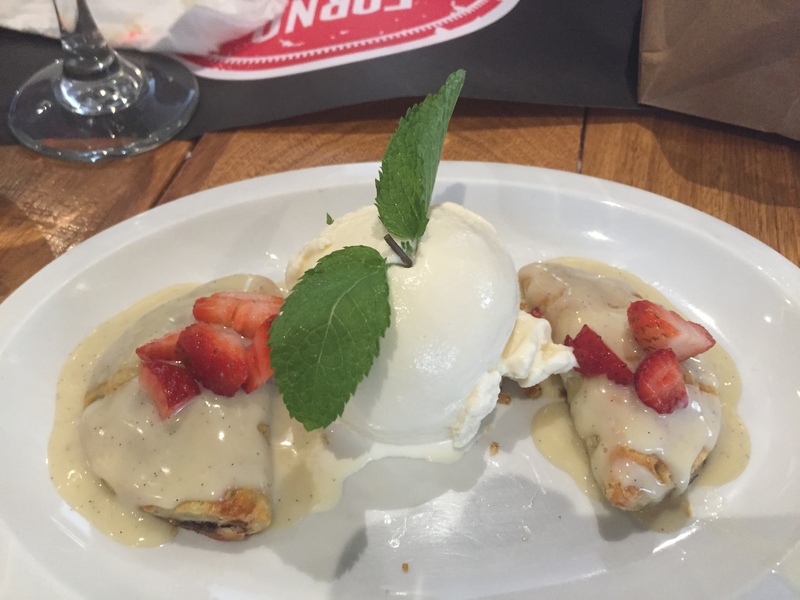 Just perfect to end a meal.